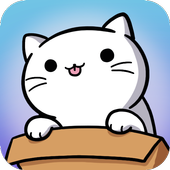 Immerse yourself in a world full of cute cats! Simply attract cats to your room with food and toys! Every cat is unique! Watch how they interact with different toys! Some cats damage toys faster than others. Make sure your toys are in great condition for the cats by fixing them when they’re broken! Don’t forget to refill the food when it runs out!